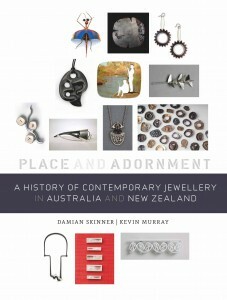 Six years ago Damian Skinner approached me with the idea of a joint book about the history of contemporary jewellery in Australia and New Zealand. Damian has an impressive track record in getting books to print, and I’d always thought that the epic story of contemporary jewellery in our part of the world had yet to be fully told. The trans-Tasman conversation can be testy, but inevitably fruitful. We worked through the obvious difference in the respect that the two countries treated the body ornament of their first peoples. The history of European colonisation in New Zealand involved an appropriation of Māori ornament, while in Australia until recently Aboriginal jewellery was dismissed as childish. Despite this gap, there was a shared experiment with primitivism on both sides of the Tasman which helped lay the ground for a jewellery that was distinct of its place. Both countries also shared the fortuitous arrival of northern Europeans from the 1960s, who brought with them the calling of modernism. This inspired some key early figures to develop ambitious international platforms, like Cross Currents and Bone, Stone and Shell. The top-down support from bodies like the Australia Council had clear positive results (an important reminder now in this period of neglect for crafts). Beyond the major events, there were a myriad of smaller experiments, whose relevance might emerge only decades later. It was difficult work distilling so much information into condensed profiles, balancing word count against image size. 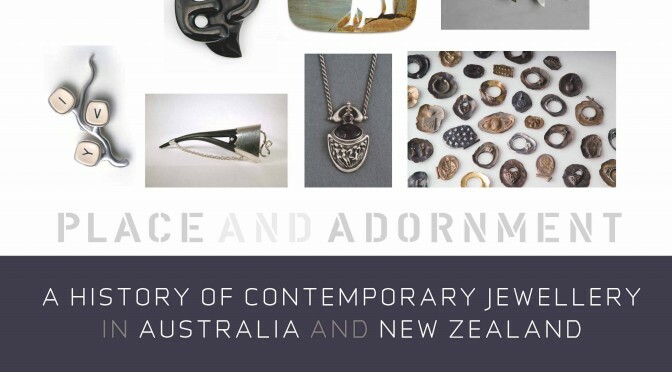 The story of contemporary jewellery in Australasia demonstrates that it is possible to develop an art form far from the transatlantic centres. While work from here certainly features strongly in Munich, it also has its own distinct frame of reference. Contemporary jewellery should certainly sit alongside painting, film and literature as an art form that reflects meaningfully on what it means to live on this side of the world. This is especially the case in Australia, which is so dependent on extraction of precious metals for its wealth. But the story is certainly not over. Not only are there are many innovative new jewellery practices emerging now, there are also scenes being developed in other countries far from the historic centres, such as India, Taiwan, Mexico, Chile, Argentina and Indonesia. Contemporary jewellery today is a rich global conversation. And this is only one of the stories to be told about craft in Australia. There are many other remarkable threads where skilled and imaginative artists have learned the language of the land to create something meaningful and original. I think particularly of media like ceramics and fibre (wood generally). Though relatively young as an art form, craft in Australia already has a legacy that could inspire future generations. We just have to believe that the value of living on this side of the world is what we make of it. Looks like a great book. I don’t know much about Australian jewelry.